The International Monetary Fund has said Ireland is one of the countries that would feel the economic effects of Brexit the strongest. The loss in economic output for Ireland, in particular, could be as much as for Britain itself, it said. 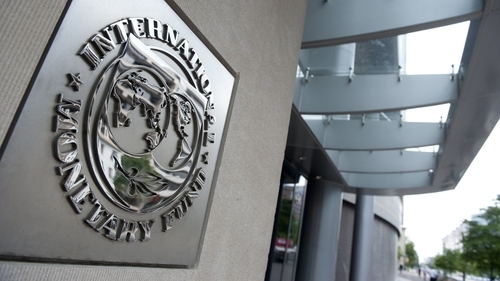 The IMF has warned of a number of potential risks to economic growth in the euro area, such as the trade war with the US, as well as a "lack of progress" in Brexit negotiations. "The euro area economy is still in a good place," the Washington-based IMF wrote in an annual report on the 19 countries that share the single currency. "Growth remains strong, broad-based, and job-friendly, even if there are signs that it has peaked. At the same time, risks are rising, including escalating trade tensions and policy complacency among euro area countries,"the IMF warned. And "time is running out on the Brexit negotiations with the lack of progress raising the risk of a disruptive exit," it added. "The euro area is enjoying a strong expansion, despite the recent slowdown," the IMF wrote. Growth, powered essentially by interior demand, should reach 2.2% in 2018 and 1.9% in 2019, and then slow somewhat to 1.5% in subsequent years. In a separate chapter on the economic impact of Britain's looming exit from the EU, the IMF said that "integration between the EU and the United Kingdom has strengthened significantly over time, reflecting shared gains from the EU single market. "It follows that the departure of the United Kingdom from the EU will represent a loss not only for the United Kingdom but also for the EU-27." More open economies such as Belgium, the Netherlands and Ireland would feel the economic effects of Brexit the strongest, the IMF said. The loss in economic output for Ireland, in particular, could be as much as for Britain itself. The institute also complained that "policy inaction" among some of the bloc's most indebted economies constituted a sizeable risk in the future. "Despite strong growth, public debt loads have barely fallen in the high-debt countries, leaving insufficient fiscal space to respond to the next shock. High-debt countries should ramp up their fiscal efforts -- reigning in deficits and reducing debt -- while conditions remain supportive," it said. Turning to consumer prices, the IMF said that underlying inflation in the single currency area "remains low, and is expected to converge only gradually" to the European Central Bank's objective of close to but just under 2%. The ECB's "commitment to keep policy rates at their current low levels, at least through next summer, is therefore vital," it said. After the financial crisis, the ECB slashed interest rates to record low levels and pumped huge amounts of money into the financial system via a policy known as "quantitative easing". But as area-wide growth has picked up recently, the ECB is now preparing to roll back the policy measures.